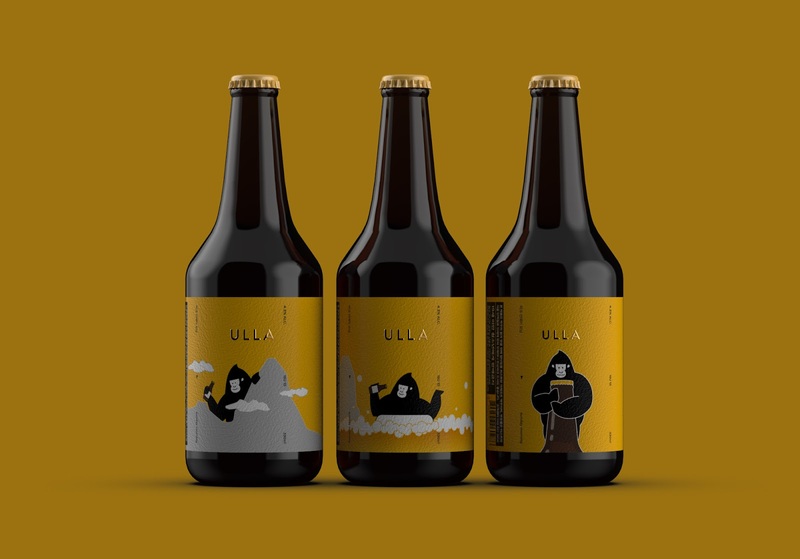 Packaging of the World presents the top 10 posts for the month of March 2019. They are selected according to their post views, social shares, social likes, re-tweets repins and people reached. All these data were collected on this website and also on different platforms like our Facebook, Twitter and Pinterest page. 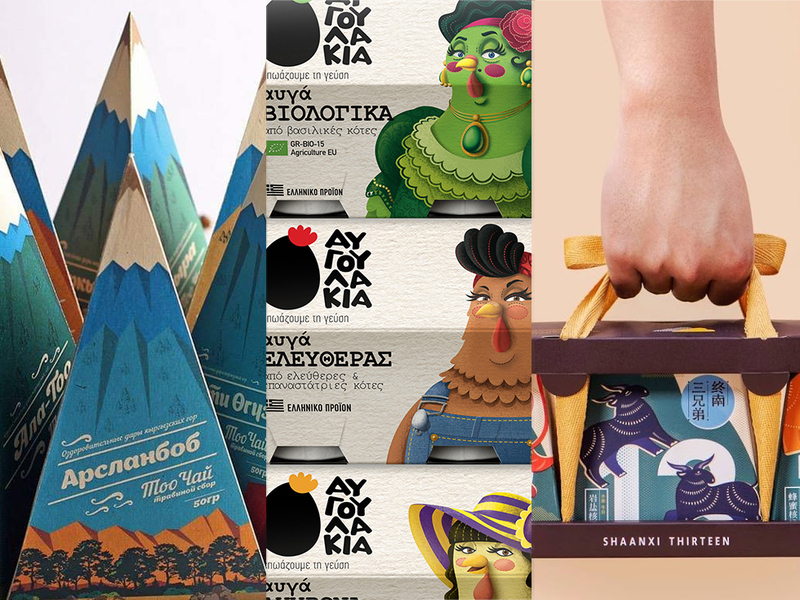 These projects will definitely inspire you for your next design project, you can also submit your packaging project here! The chicken or the egg dilemma is commonly stated as “which came first: the chicken or the egg?” - well, in these packages… the chickens definitely steal the show! 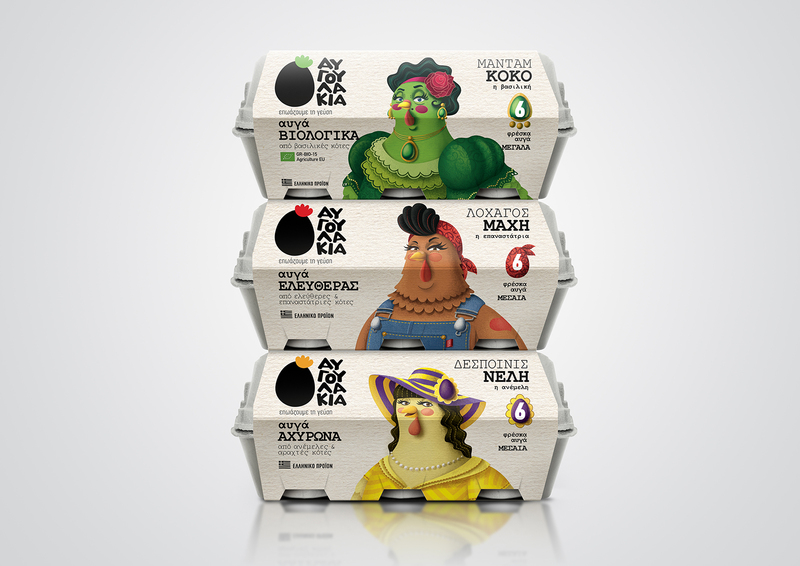 Enchanted by the power of stories and tales, we created a visual narrative… about 3 special chickens / heroines; Captain Mahe for free-range eggs, Madame Coco for bio eggs and Miss Nelly for barn-laid eggs. That’s how we added a human touch to the packaging: a touch that implies the high quality of a product that seems to be homemade, a touch which was enriched with bright pops of color that brought a bit more of a fun twist to it! 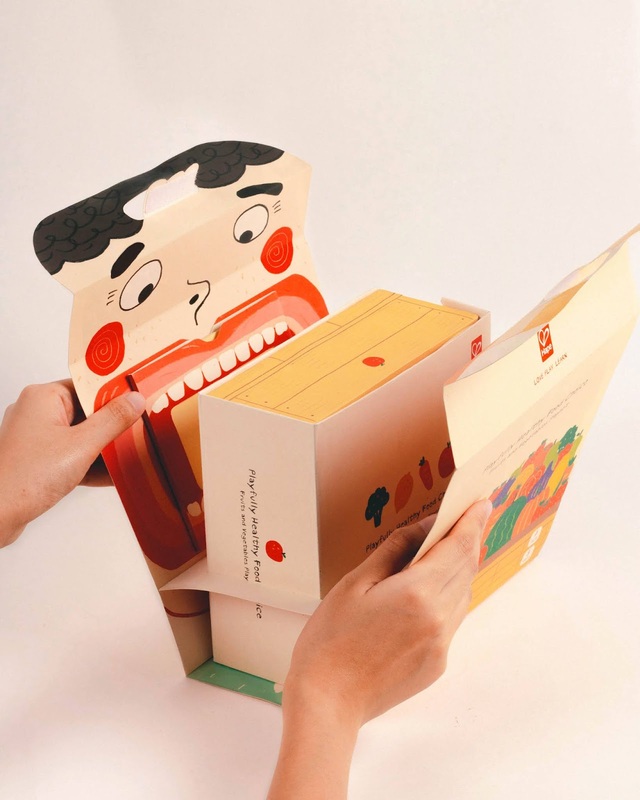 This educational kit (which consists of a set of toys, flashcards, and storybook) is aimed to teach kids the importance of eating fruits and vegetables, as well as avoid food wastage. The packaging is integrated together with the kit itself, serving as the basket holder and an infographic poster printed on the underside. The packaging leaving no part of this product, go to waste. Too Chai is a collection of healing mountain plants. Colorful brushes of inflorescences and leaves of herbs are gathered on the slopes and tops of the Kyrgyz mountains and have long been used to treat various diseases. 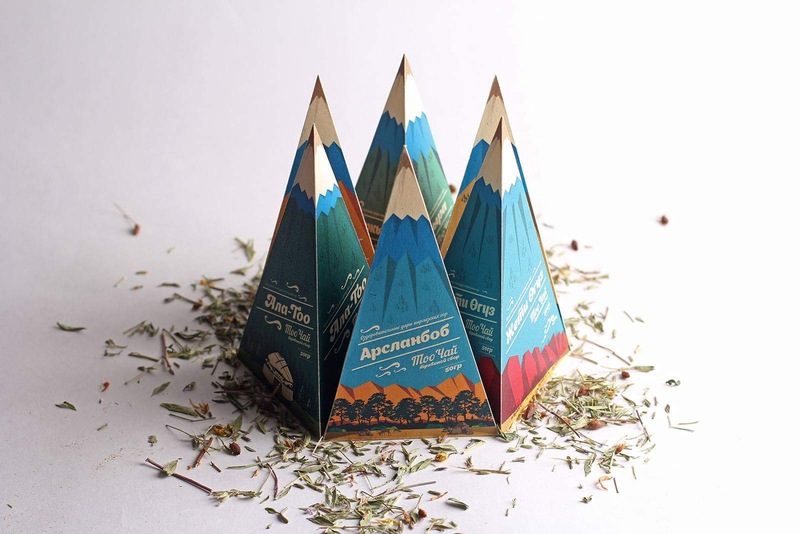 While developing the packaging design, we tried to reflect the specificity of each product line, since each herbal collection differs according to its taste and composition, and it is collected in a certain region or area of ​​Kyrgyzstan: Suusamyr, Jeti-Oguz, Son-Kol, Sary-Chelek, Arslanbob, etc . 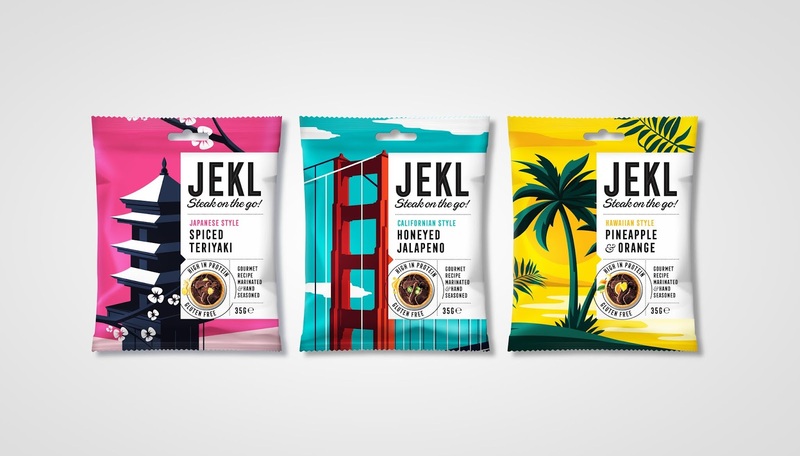 d., but mixed fees were named not by areas, but mountain ranges: "Ala-Too" and "Tenir-Too"
In an environment of dusty landscapes, rustic type and cowboy themed packaging, Jekl met with Design Happy with a view to shake up the category, not just with its superior tasting product but to stand apart from the crowd of normality. Rather than focusing on the product’s heritage we decided to draw inspiration from the unique story of each of the flavours. 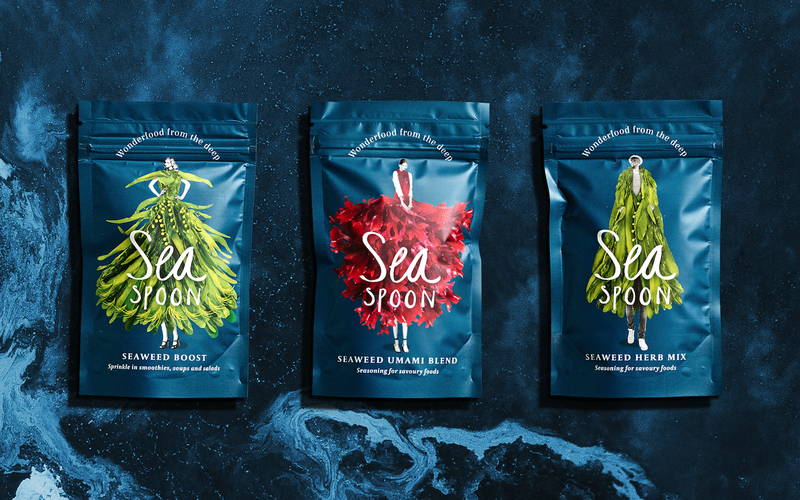 We created a modern picture postcard themed packaging from each of the variants moving away from muted, earthy tones to a more vibrant colour palette to appeal to broader demographic. Vital Aquatics is a premium series of fish feeds made specifically for professional fish breeders. The assortment of products consists of different feed mixes targeted for specific breeds and ages of fish. 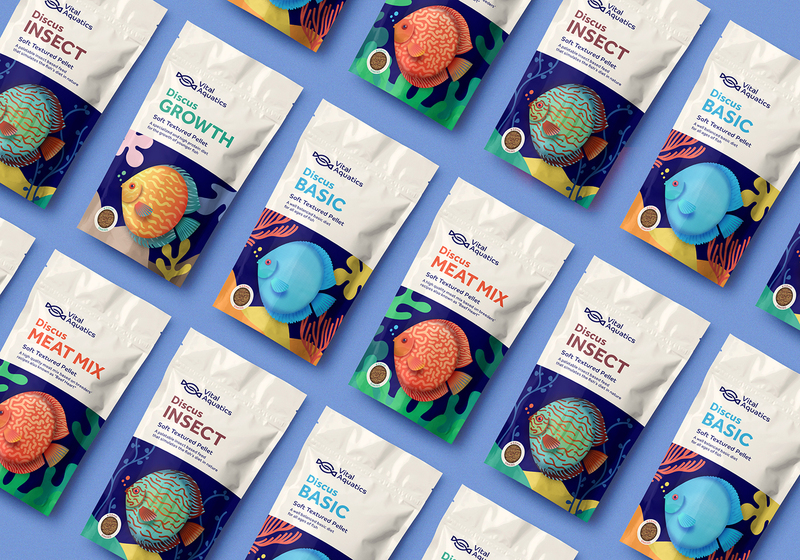 The target audience of the fish feed market consist mostly of men, hobbyists and professional breeders, accustomed to simple and bold packages, usually with strong, dark colours, a “heavy” feeling, and little focus on the graphics, with the exception of few nice designs. Farmer eggs of especially large size from the best breeds of chickens on the free range can only be royal. This is the main idea of packaging. 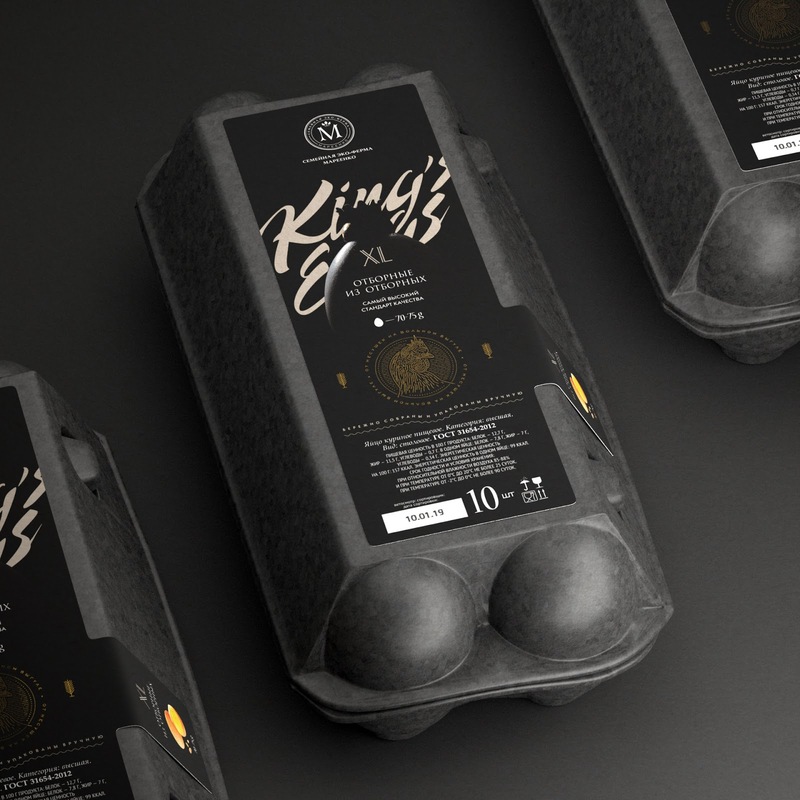 The front illustration - an egg with a crown, a mysterious light and black color reflect the whole premium nature of this product. Packaging design for walnut small pack–The mid-Autumn Festival gift box. Relationship is higher and longer than a mountain. Just Walnut be with you. Zhongnan mountain located in Shaanxi , below the old city Changan ,the most blessing place in the world. 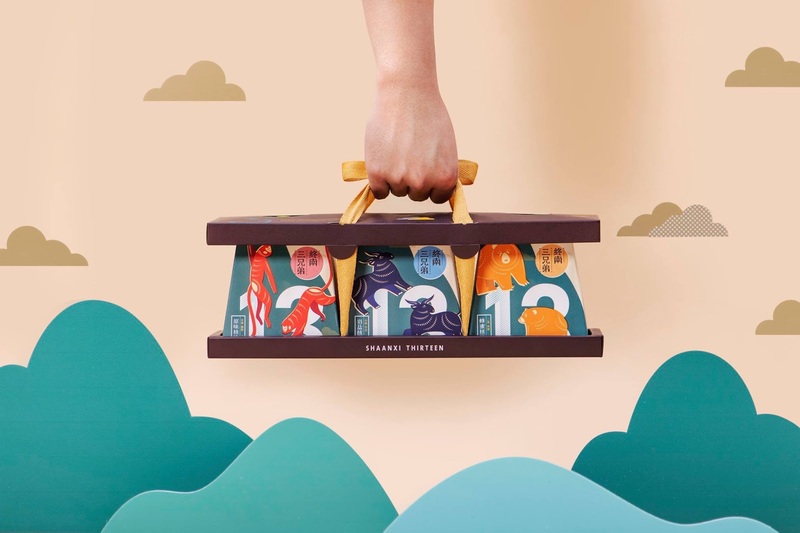 Combine the strong history background and the natural ecosystems of Shaanxi for the Mid-Autumn Festival’s gift box design, Create the Zhongnan three brothers giving the three flavors. A single box present a mountain three boxes combination shows the powerful Zhongnan mountain. On the top of package shows the silhouette of three brothers looking at each other inside the moon for presenting being with family in the happy holiday. 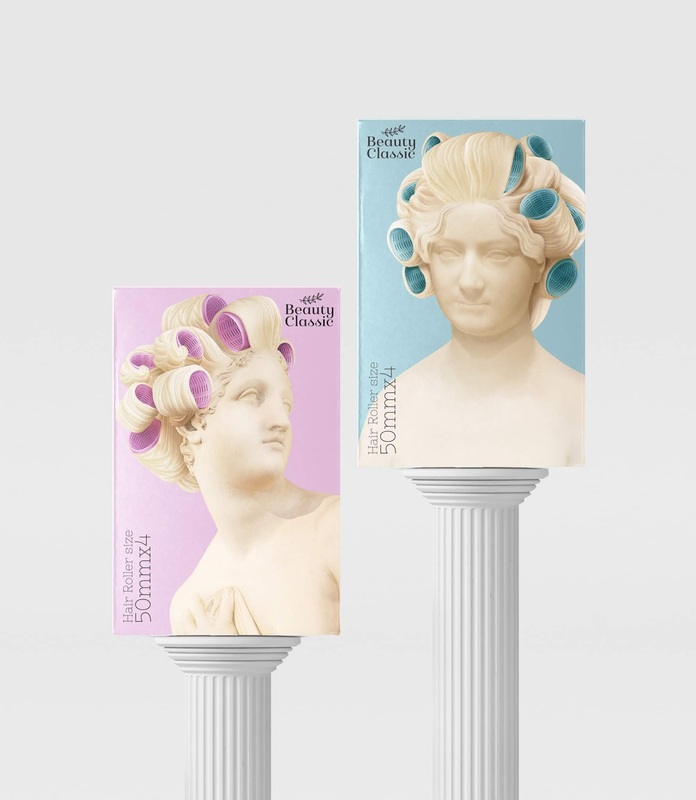 Beauty Classic - the premium brand of Hair Care Accessories with a slogan " timeless beauty" has released the new product - Hair Rollers. We have selected to communicate by relating the beauty of curling hairstyle of the ancient statues and sculptures to humorously say that every curl has been made possible by this product. This illustrative ancient figure also implies that its curling hair is permanently long lasting through time. On the back of the package has details of the result after having confidently used the Beauty Classic- Hair Rollers.